I am now offering these three promo cards in the limited edition version of Crazier Eights. 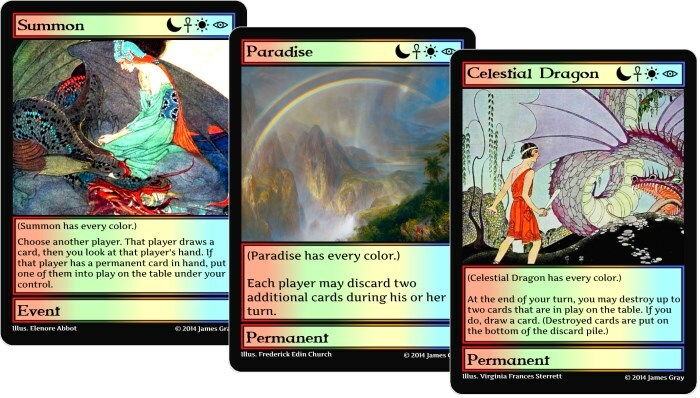 There is now a reward level available on the Crazier Eight Kickstarter Campaign to get a hold of the limited edition (with these three promo cards). The Jumbo Version of Crazier Eights also comes with two of every promo card (including the limited edition promo cards). There is also an option to get an add-on to upgrade one regular copy of Crazier Eights to the limited edition (for $3). For example, if you get three copies of Crazier Eights and get this add on, then you will get two regular copies of Crazier Eights and one limited edition copy of the game. This entry was posted in crazier eights, kickstarter and tagged limited edition, promo. Bookmark the permalink.